Here are a couple tips to help make your quizzing in Canvas successful. Guided Access must be turned on if your students are taking a LockDown Browser-required quiz on their iPad. 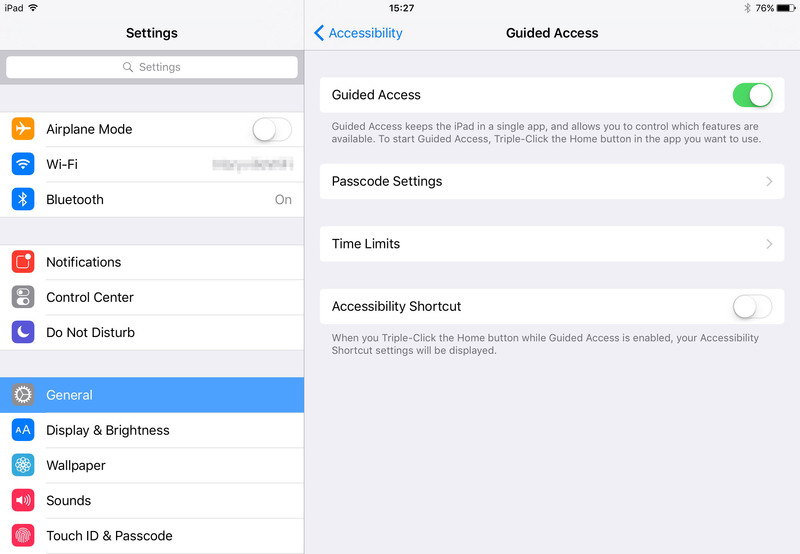 Guided Access can be turned on through the iPad’s Settings. Settings > General > Accessibility > Guided Access. Some students may have difficulty accessing their quiz while using LockDown Browser on their iPad. If your student has the LockDown Browser app open, and is logged in to Canvas with the quiz page open, but a message appears that LockDown Browser is required, close the browser down completely. This includes removing it from the application tray (double tap the Home button, and then swipe the app up). Launch the LockDown Browser app again and sign in to Canvas to access the quiz. Your student should be able to access the quiz now. While your students are taking a quiz, you can see the time elapsed by student and scores as soon as students submit the quiz. While your students are taking the quiz, click the quiz in Canvas. Click Moderate This Quiz. Once your students submit the quiz, you can view how long it took them to complete the quiz and their scores. Please contact us with any questions about Canvas or for an LDT team member to assist you with facilitating a quiz in Canvas. This entry was posted in Canvas: Quick Tips, Canvas: Quizzes and tagged LockDown Browser, quiz, Quizzes by . Bookmark the permalink.